Yoon C Han has curated the second in our series Guest Curator Programs. 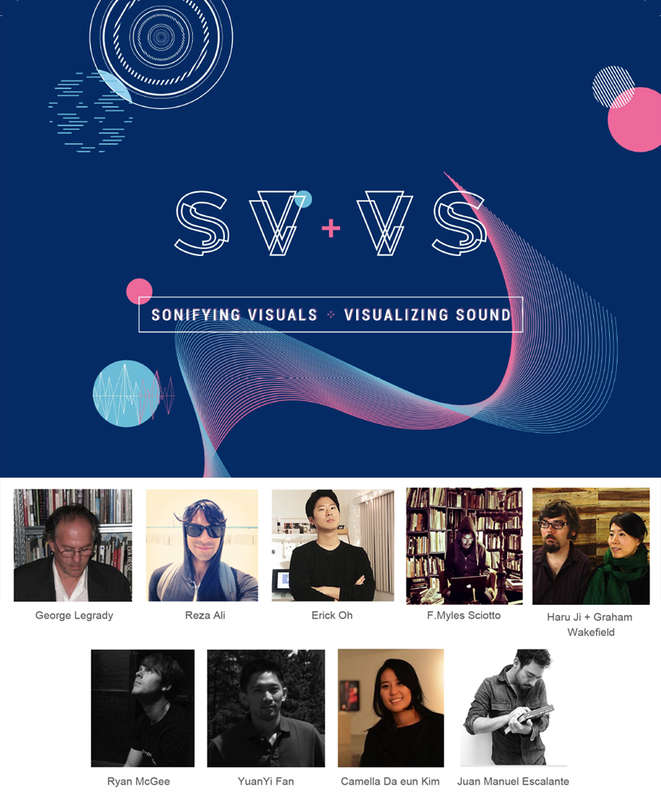 Her exhibition SV+VS, Sonifying Visuals / Visualizing Sound, will be presented throughout the CURRENTS NEW MEDIA 2017 Festival at our main venue, El Museo Cultural. Visual Music is an art form that transforms auditory data into visual experience and shares aesthetics of music with the visual language. It closes the gap between two different sensory expressions by using the development of technology. Throughout the consistent evolution and innovations of technology, visual music has been investigated for a long time by artists, designers, engineers, and researchers in various ways. From color organ and television to mobile device and virtual reality, technological inventions have delivered higher impact to artists to push the boundaries of their multi-sensory artworks. Artists have used computer programming to create algorithmic composition and visualization based on sound data. Mapping sound into the visual language (colors, shapes and forms) can boost up higher user engagement and reading ability. Immersive audiovisual experience using sensory devices opens up a new possibility in media art and visual music field. The diversity of these works reflects a complex and nuanced field. Yet the exhibition posits something specific: how we listen to visuals and how we see sound. Many of the artists in this exhibition aim for creating new ways of listening and seeing data. The sound and the visuals they create provide immersive experiences for visitors that resonate with them. In many of the works, visuals and sound are linked tightly together, and give rise to new understanding and exciting experiences. Da Eun Kim. Artworks range from hand-drawn animation, audiovisual installation and performance, 3D sculptures, mobile application to data-driven visual sound. located at the center of Seoul, built by a well-known architect, Zaha Hadid. The exhibition at the DDP included international media artists in Seoul, S.Korea and various activities on the opening reception with support from FOCA, Soongsil University in S.Korea, University of California, Santa Barbara and California State University, Fullerton.